1. That's "Not Suitable For Work" and these Valentine's Day Bath Bombs from Lush, a U.K.-based bath and body shop with locations throughout Canada and the U.S., are definitely that! They will be for sale starting January 11. Would you consider buying any of these bath bombs? 2. 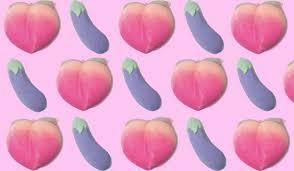 These bath bombs are actually modeled after Emojis, ranging from banana-shaped ones, eggplant-shaped ones, peach-shaped bath bomb, a "Love Boat" bath bomb, as well as various fun shower gels and body conditioners. This is not the first time Lush has released interestingly-shaped bath products. In the past, the company released a bubble bar that unintentionally looked like a pentagram. 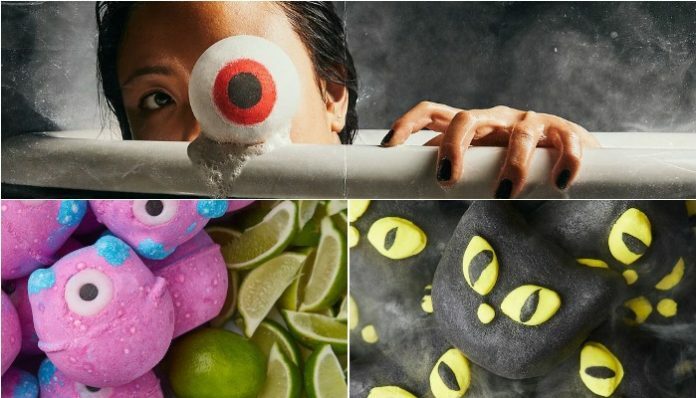 Additionally, they released the most perfect Halloween-themed collection last October, including pumpkin bubble bars and eyeball bath bombs. Do you enjoy unique shaped themed products specially designed for a holiday?